Real estate has been in existence since people have decided that living in caves was no longer an option. However, most progress in real estate has probably happened in the last two centuries or so with the invention of the elevator. Elevators made it possible for real estate to include high-rise office buildings, multiple-floor residential apartment houses, and shopping malls. A decent book for absolute beginners. 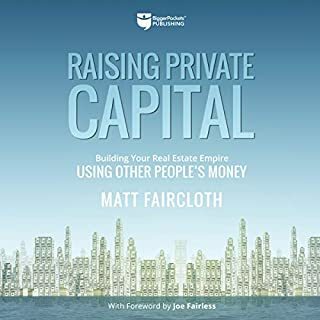 Passive Investing in Commercial Real Estate: The Insider Secrets to Achieve Financial Independence is a must-listen book for any passive investors who desire to be a smarter passive investor in syndicated commercial real estate investments, specifically multifamily real estate. 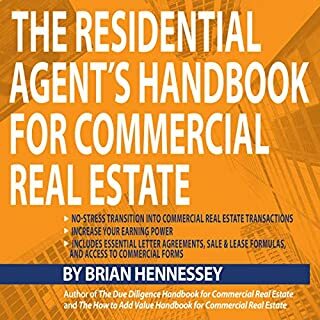 This book breaks down barriers of knowledge "cocoon" in different groups, while revealing hidden secrets on how to achieve massive success in commercial real estate investment. 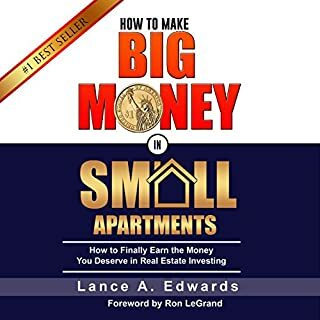 No matter how confused, overwhelmed, or intimidated you may feel by the thought of investing in real estate, you will learn how to finally grow your wealth and achieve the financial freedom you truly deserve. 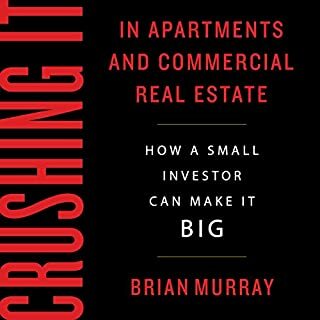 Real Estate Investing For Beginners Is Great! 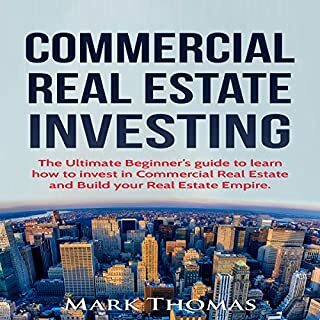 In Commercial Real Estate Investing: The Essentials to Buying and Managing Commercial Properties, you'll learn about why commercial real estate investing has become a popular investment strategy for individuals with high net worths or strong relationships with influential investors. Commercial real estate investing consists of building a portfolio of assets that provide office spaces for businesses or storefronts for retail owners. There’s a HUGE problem in the commercial real estate business that nobody is talking about - DUE DILIGENCE. Investors are leaving big money on the table by not learning these essential principles. Most investors, real estate brokers, and commercial real estate professionals barely scratch the surface conducting their due diligence. Mainly because "they don't know what they don't know". I’ve spent more than 30 years helping investors buy and sell more than 9 million square feet of properties and witnessed the practices of professional and small investors. It wasn’t until I became an acquisition executive and learned some humiliating and expensive lessons that “I didn’t know what I didn’t know”. 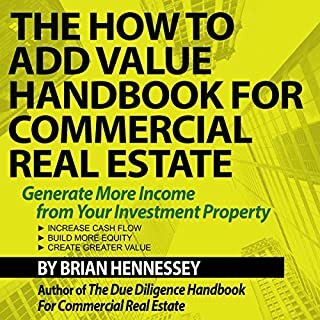 This is a number one best seller in commercial real estate books on Amazon. 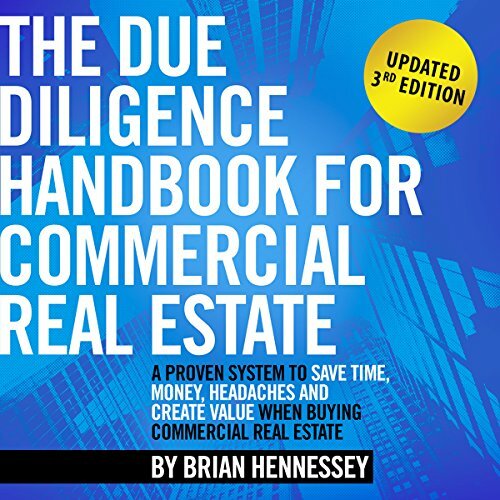 It is an easy-to-follow, proven step-by-step system that investors and real estate professionals use regularly as they’re conducting due diligence. It will help you make informed, intelligent decisions when deciding whether to buy or NOT to buy. Adhering to a proven system allows you to conduct due diligence faster, easier, more efficiently, and you’re less likely to miss something. Some very basic info about commercial real estate strategies. Some basic ideas but mostly a sales pitch for other services from author. This book is basically a good check list. You can more then likely find these check list on the internet and save yourself from buying this book. Half of this book is a sale pitch to cross promote other products. So if you think the majority of your listen time will go to gaining more knowledge on due diligence, then think again. Due diligence explained in the sense of what you're missing as he is extremely thorough in his due diligence and review process.